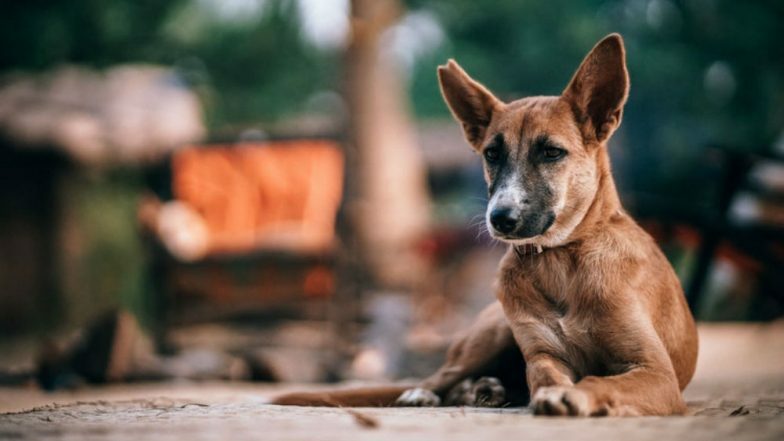 Mumbai, April 14: The Nisarg Heaven Society has slapped a fine of Rs 3.60 lakh on a resident, who works as an advertising executive and is also an animal lover, for feeding stray dogs in the society premises in Kandivali. Talking to ANI, chairman of Nisarg Heaven Society (NHS) Mitesh Bora said: "Around 98 per cent of the society members had passed the resolution to levy fine for feeding dogs in the society premises. Being the society's chairman, it is my duty to make members to follow the rules framed by the majority of members. "Bora said: "We have no problem if any society member feeds dogs outside the premises. We are also animal lovers. There is nothing against animal rights. It is a question of human rights too." Odisha: Stray Dogs Feast on Abandoned Baby Near Government Hospital in Kendrapara District. Neha Datwani said: "I had an outstanding maintenance bill of Rs 3.60 lakh till March, which also includes Rs 75,000 monthly fine for feeding dogs. They have charged me of Rs 2,500 per day for feeding dogs. "Datwani said: "In July 2018, the society slapped a fine of Rs 2,500. It went up to Rs 75,000 per month in June. Another member of the society Ketan Shah was also fined for Rs 7,500 in July and thereafter Rs 75,000 per month." "The society had stopped charging penalties in November 2018, after I approached the animal rights activists and informed them about these rules, but in vain," she said. "They are not stray dogs. They were born in the society premises. I have been taking care of them since their birth. But suddenly the society formed a committee which made a rule of imposing fine on members for feeding dogs. I am feeding dogs on the humanitarian ground," said Datwani. "I am likely to move outside the city soon. I want to clear all dues of the society as my mother and sister will continue to stay here, but I won't pay the fine," she said.